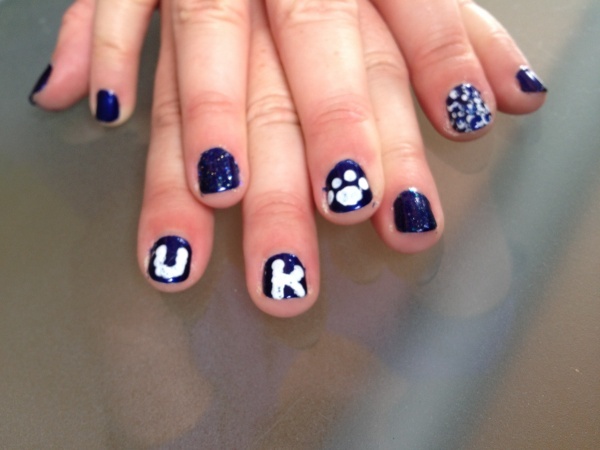 Quick post – did my nails in team colors for the University of KY today. Thanks to the ideas on pinterest to use a pin in a pencil eraser to do dots on your nails. Though now I kinda want itty bitter letter stamps for my nails.